Temporary and definitive indirect restorations (dental crowns, dental bridges, some removable partial dentures) are secured to abutment teeth with a specific material called dental cement. Therefore, the procedure is (improperly) named cementing or cementation. Prior to cementation, the practitioner checks all the important details (shade, shape, insertion etc.) and makes the necessary adjustments until the restoration perfectly fits. There are 2 types of cementation depending on the type of dental cement utilized: temporary and permanent (or definitive). Temporary cementation utilizes soft materials called temporary dental cement. They have a good grip on both teeth and dental restorations. They are very well tolerated by the dental tissues. 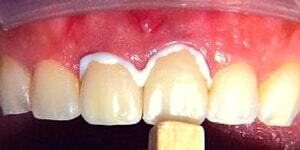 The temporary cemented restorations are very easy to remove. They can protect a vital prepared tooth and help minimize sensitivity (between appointments). 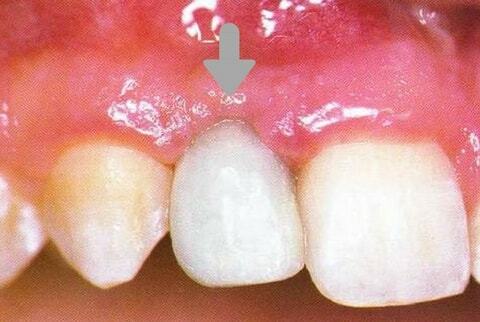 Under the influence of saliva, temporary cement dissolute in a short time. For this reason, definitive restorations that are temporarily cemented must be permanently fixed in 3 to 6 weeks. They have a low resistance. A temporary crown is usually cemented in place with a soft temporary dental cement. This allows for easy removal when fitting the definitive restoration and re-fixing between appointments. to verify dental tissue adaptation to the new situation. If certain complications arise during this period (e.g. an abutment tooth's pulp inflammation), the restoration can be easily removed (without destroying it), the condition is treated then the reconstruction is permanently cemented. Fixed dental restorations are permanently attached to the abutment teeth with specific dental cement (either resin cement or acid-base cement). These are hard, brittle materials formed by mixing powder and liquid together. Dental cement is used for a variety of dental and orthodontic applications, including use as luting agents, pulp-protecting agents or cavity-lining material. Furthermore, they are used to form an insulating layer under metallic or ceramic restorations and protect the pulp from injury. They develop a strong bond with both the restoration and especially the teeth. 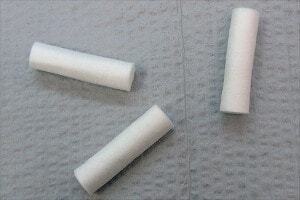 It is argued that quality dental cement form a very resistant chemical bond with dental tissues. They have excellent resistance, aesthetics and they do not dissolute in saliva or other oral fluids. Unfortunately, the resistance decreases when the thickness of the dental cement layer is too high. If a dental restoration doesn't perfectly fit onto the abutment teeth, the space between the tooth and the inside of the crown increases. Dental cement, as quality materials as they are, cannot fully compensate this lack of adjustment. The primary role of dental cement is to act as luting agents by filling the space between the inner walls of the dental crown and the prepared tooth. On the other hand, if a restoration is perfectly adjusted, high-quality dental cement greatly increase the lifespan and prognosis. All dental crowns are cleaned and disinfected. A dental suction device is placed inside the mouth and teeth are isolated from saliva or other fluids with a rubber dam or cotton rolls. The abutment teeth are carefully dried with air or small pieces of cotton wool. The dental cement is prepared by mixing the powder and liquid together according to manufacturer's instructions. When the cement reaches optimum consistency (a "creamy" consistency), it is placed inside the crowns, carefully, so it covers all interior walls. The restoration is positioned on the abutment teeth, applying gentle pressures until it reaches the final position. Any small mistake here can jeopardize the entire operation because, after the cement sets, the restoration is very hard to remove. The patient is invited to close the teeth only after the restoration is inserted up to the final position. Otherwise, the crowns may fracture. 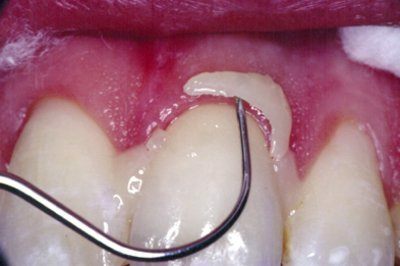 The occlusion is checked and it should be the correct one. Small bite adjustments can still be performed after the dental cement sets. It is vital not to leave the restoration too high (or too low). After the primary setting, the excess cement that squeezes out from underneath the crowns is removed with the help of a dental explorer. Finally, the patient is made aware of the precautions to be taken in the first days after cementation. The patient is informed about the maintenance measures, regular checkups are scheduled and other details can be discussed.